Elevated between 3609 ft and 7218 ft, the Ski Resort is among the 3 highest elevated Ski Resorts in Abruzzo. The vertical drop from summit to base is 3609 ft. 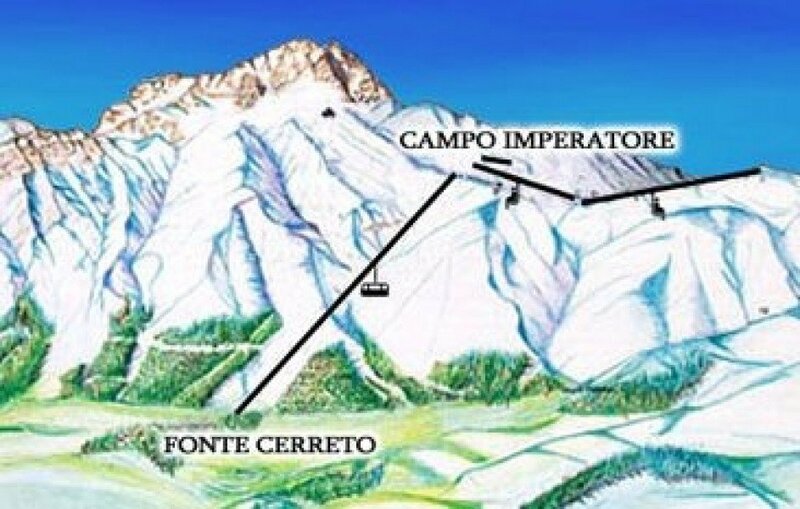 The average difference in altitude between base and summit of Ski Resorts in Italy is 3087 ft.
Campo Imperatore is a high plateau situated in Gran Sasso Massif in Central Italy. Formed by a glacier thousands of years ago, the plateau counts among Italy´s oldest ski resorts. In the 1920ies winter tourism was established at Campo Imperatore. 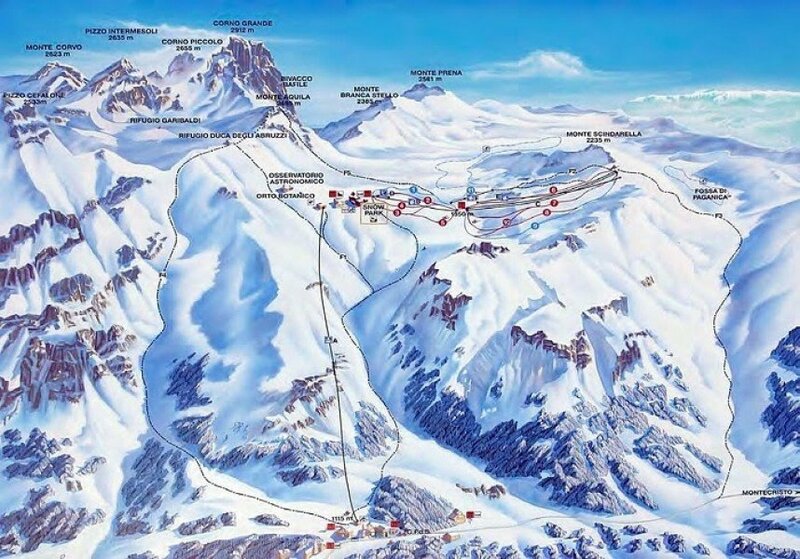 Due to its close vicinity to Rome it is still a very popular ski resort among skiers from Central Italy. 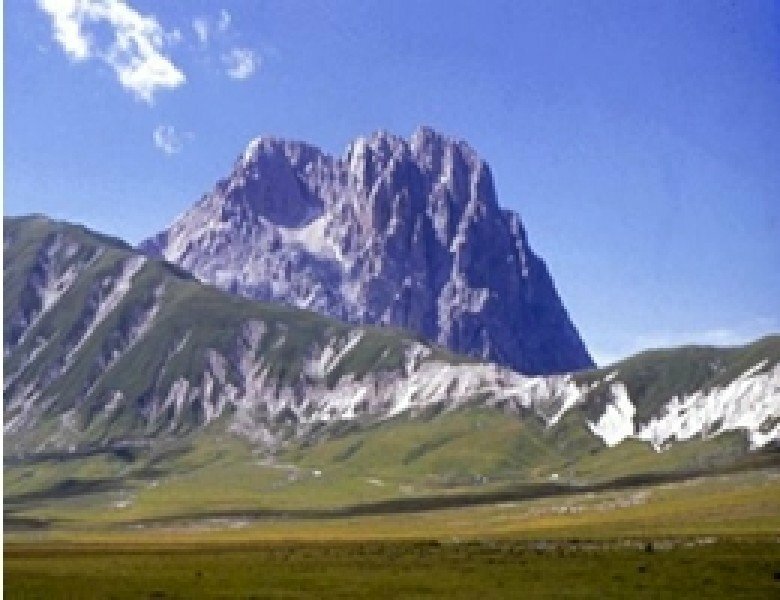 Its proximity to Calderone Glacier and the general weather situation in Gran Sasso Massif Campo Imperatore is known to have guaranteed snow throughout the season. Although there are some slopes for beginners, Campo Imperatore is especially interesting for advanced skiers and experts. Numerous off-piste descents attract freeriders from all over Europe.